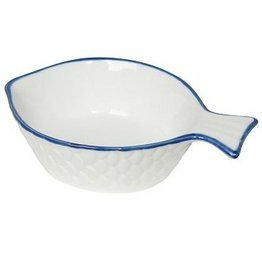 Enjoy seafood in this hand-painted porcelain dish designed just for it. 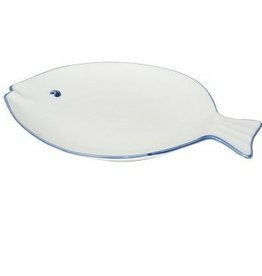 The fish-shaped plate makes the meal stand out as the catch of the day. A blue rim completes the nautical theme. 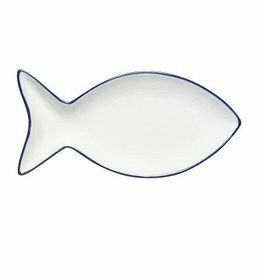 Enjoy seafood in this hand-painted porcelain dish designed just for it. 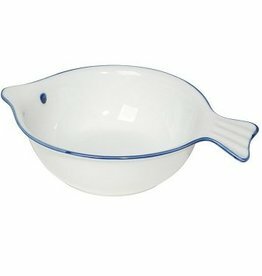 The fish-shaped bowl makes the meal stand out as the catch of the day. A blue rim completes the nautical theme.